These are vintage lucite cabs that were made in Germany. 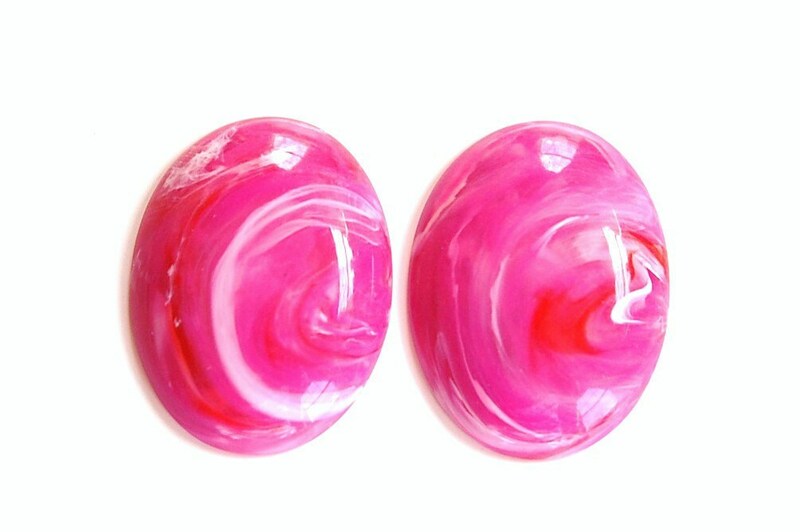 They are clear with a random mix of pink and white swirled together. There is a random swirl of a red that appears in many of the cabs. These measure 40mm X 30mm. You will receive 2 pieces. I have these in other colors and sizes as well as beads. Just love it! Great quality and ultra light stones!!! Thank you so much, great Stuff! I just loved them!!! beautiful items! !